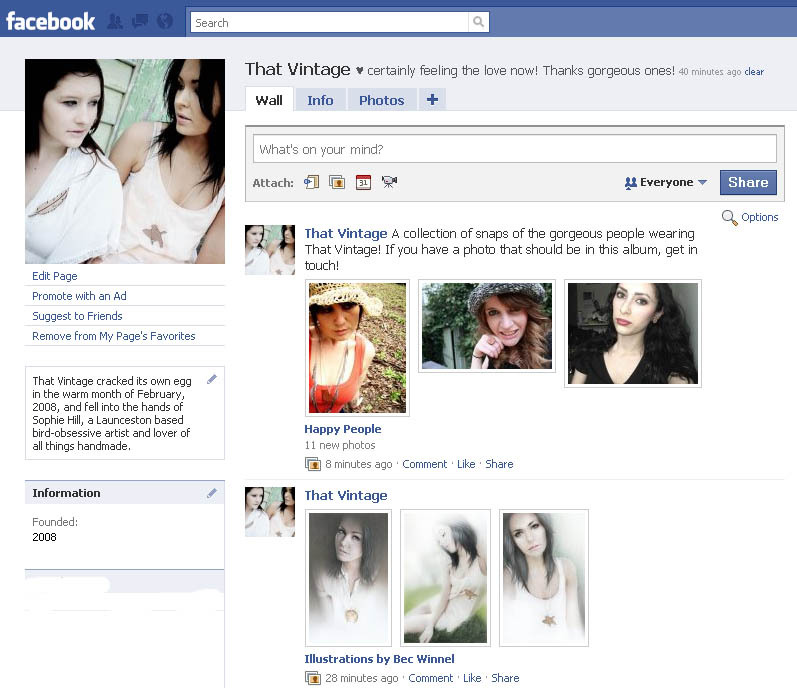 That Vintage has grown up on Facebook and now has it's own fan page! Please be sure to check it out, fan-up and spread the love! I am so glad that Miss James is sharing her journey of baby bird's incubation with us on her blog - definitely well worth the read... it's making me oh so clucky! Oh and incase you didn't notice, Miss James is wearing a That Vintage pendant - Big Friend, Little Friend - and boy oh boy, doesn't she wear it well! This girl is one of the sweetest dolls in Launceston. Clare has such gorgeous style - from fashion right down to personality - as I said, such a doll! She must have treated herself in town yesterday, and picked up a That Vintage Rose Thorn Ring from Cocoon - totally suits her! 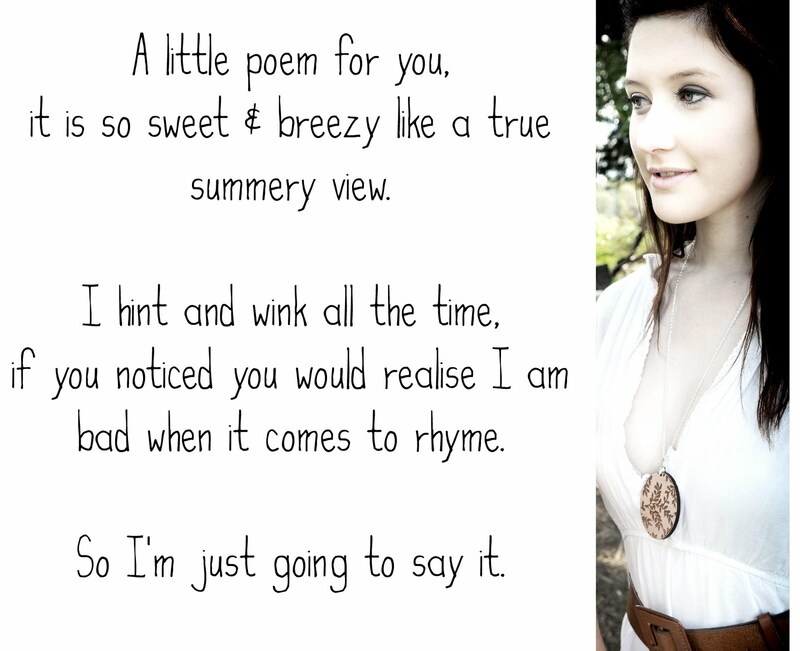 Make sure you go and get submerged in her sweet little blog! 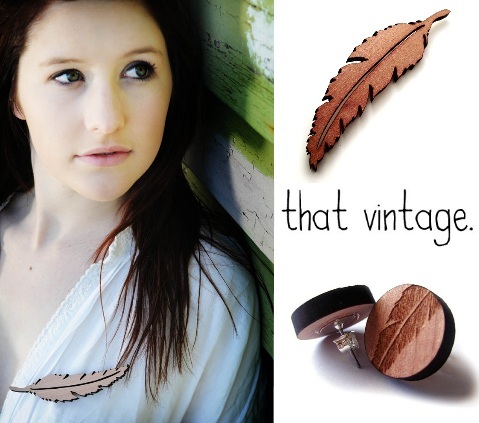 That Vintage has now secured it's precious little spot on Shop: Moose! This website is pretty incredible, based in Perth, Western Australia, it is full of the most amazing designers, in which I am truly chuffed to be rubbing virtual shoulders with! Head on over and check it out! Earth Hour begins at 8:30pm Australian EST. 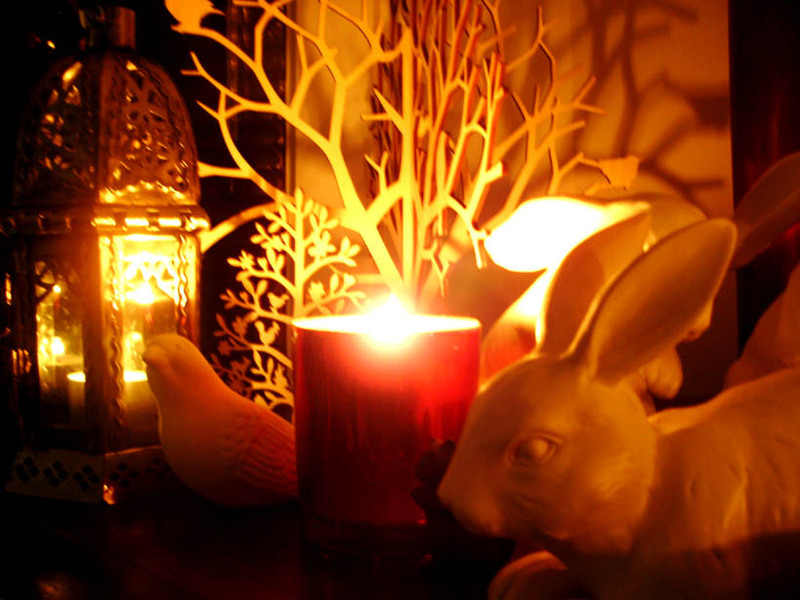 Do your bit - turn off your power, light some candles and enjoy the peace & quiet. 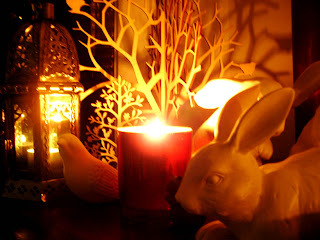 My little woodland vigil, a tribute to all the creatures I love, whom inspire me and unfortunately are at the mercy of the human race - be smart and eco-friendly! Pull Up A Chair, Pour Yourself A Cup. Get your pretty virtual butts over to My Teacups In Peony. model: Elizabeth / photography: Caught A Glimpse. I love it when everything starts to come together... the plans for the photo shoot are falling into place, we have decided on two (possibly three) locations - I've purchased a couple outfits already, have my hairdresser organised, a friend is helping me do the make up - and wow, it'll be a fully fledged professional, chaotic shoot! I think there are around twelve people involved - it's going to be busy! Even my dad is chipping in and finishing off the main bathroom in our house, before the shoot date - I can actually hear him now, grouting the tiles! Both Ebony and I didn't realise it would blossom into something so big - but I am loving it. It is such a buzz to be organising something so exciting. I am ready for something huge like this, I am ready to see what it produces, what it brings and what it holds. All the models (including Nathan!) are so excited and thrilled to be apart of this - and I can't thank them enough for allowing their faces to represent the next season of That Vintage! 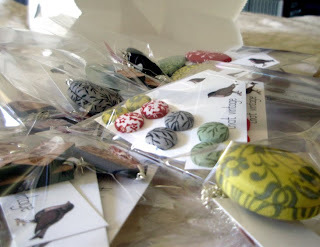 If you head over to Bleubird blog today... you're sure of a big surprise. If you head over to Bleubird blog today... you better go in disguise. 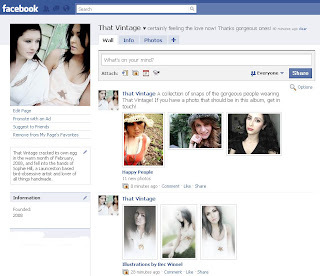 Today's the day the Bleubird's have their chance to win a piece of That Vintage! 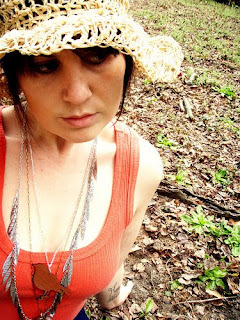 The beautiful Rachael from Soft Spoken, sent me a link to one of her recent blog entries - Softspoken Rafia Sun Hat... I did a trade with Rachael a few weeks back - I scored a gorgeous golden beret and grey cowl neck scarf, Rachael picked out some earrings, the Big Friend Little Friend pendant and of course, the Bird pendant in which she is modeling in this photograph - what a doll! I have just unveiled to the lovely three models for the next shoot, Rebecca, Elizabeth & Phoebe that their added surprise to the shoot is the ever so handsome Nathan. Can you get the vibe? I am so addicted to my new, custom routine on Wii Fit Plus - I start off with Yoga (Deep breathing and warrior pose) then off to Free Form Step for 10 minutes, then into the ring with Rhythm Boxing and back to Free Form Step for another 10 minutes, ending with some Yoga deep breathing... Phew! Clocks up about 40 minutes! I went back for seconds. After being thrilled to smithereens with my last purchase from Replicca (Grey Cowl Neck Dress) - I tapped the letters on the keyboard, headed their direction again to part with my coin. With Autumn (apparently) here and Winter not far off - for me, it is "hoodie" season. So instead of forking out $60US for a boring, suspiciously lack-luster quality, plain "hoodie" on American Apparel, I parted with a wee bit extra coinage and scored a truly eye catching trendy number from Replicca. 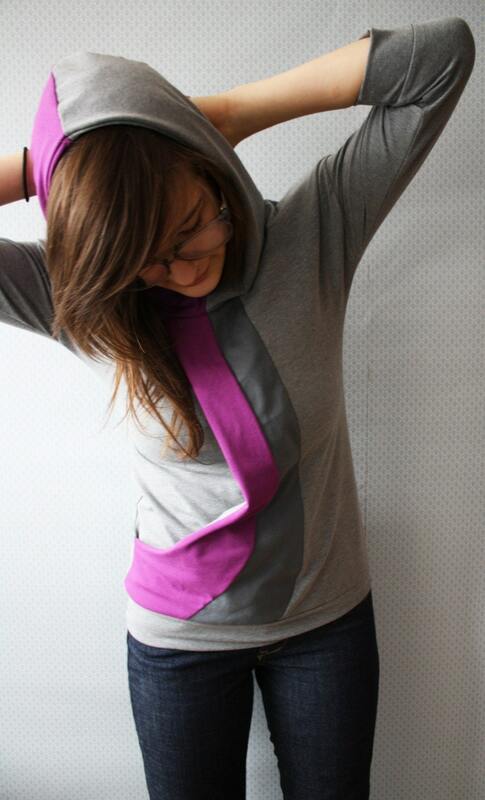 Also, my conscious feels at ease, supporting handmade and independant designers! I Know You Like Surprises. 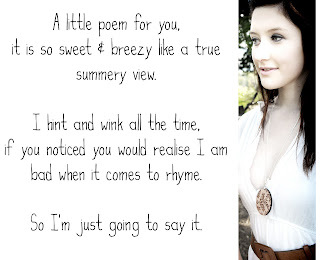 Make sure you read the whole blog entry - if you snooze, you lose! 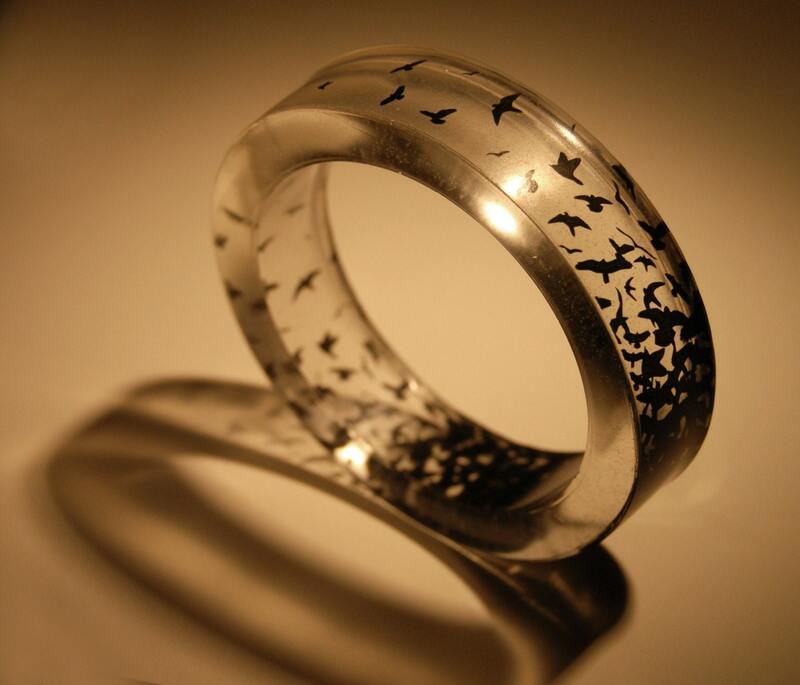 Just received this very cool Departure resin bangle from ParAmourDesign - I love a good ol' flock of birds, especially in silhouette. When wearing this bangle, it quite literally looks like they are flying around your lower arm, very neat effect! Step Into The (Pretty) Portal. 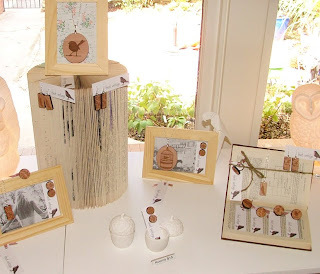 Portal 108 in Hepburn Springs, Victoria - the lovely Connie & Kyla have done an incredible job displaying That Vintage - I absolutely love how they've teamed it up with twine, books and their own little porcelain menagerie! Click on the images for a better view! Just a quick snap of myself, before I fly out the door; every limb carrying a green bag of sorts - filled with things to post out - mail out day today! 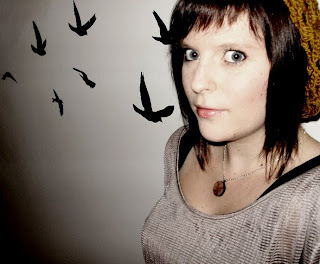 I'm wearing my new Golden Beret by softspoken - so sweet, so gorgeous! I also got a lovely charcoal grey cowl-loop style scarf from her shop too - beautiful work, top quality - and gets me that little bit closer to the colder weather that I have been craving! 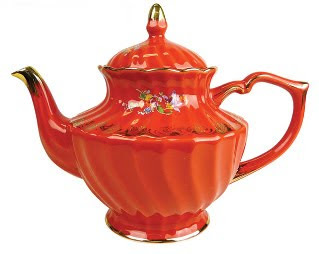 I am in love with teapots, jugs and anything that can hold liquid - cups, vases, watering cans - some sort of weird fascination! 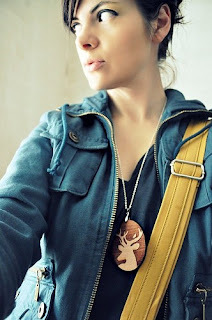 I stumbled across this cute illustrated necklace (yes! ink on plastic! clever!) 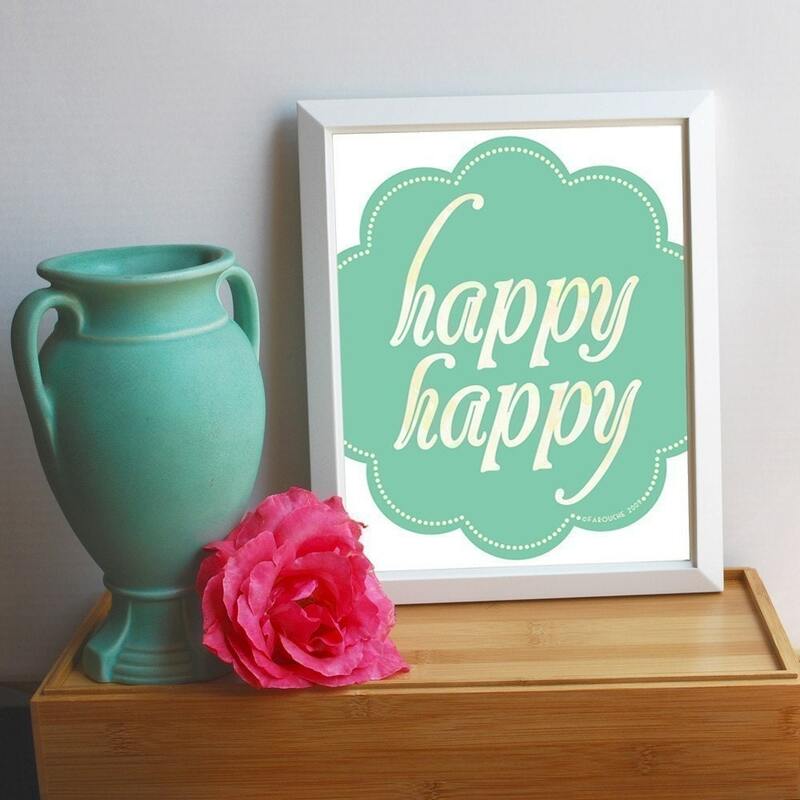 whilst doing my morning wander on Etsy, cup of tea in hand... Please Pass The Cream by mamaslittlebabies. Please hold on the sugar, this is already so very sweet! A couple of weeks ago, I came across this divine little Fox brooch by His Peacoat Pocket Design & Vintage - from South Australia. I just had to snap him up! 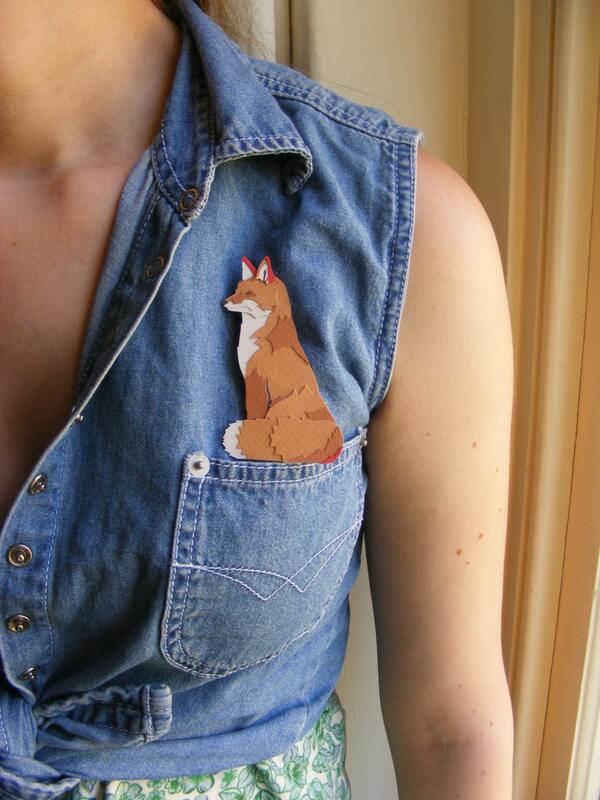 I am so glad that I did - crafted from layers of card and secured with a brooch pin on the back - it is such a unique yet foxy (excuse the pun) type of brooch! 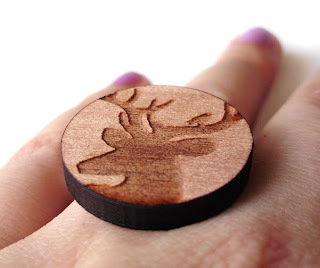 New addition to the wooden ring range - Big Friend Little Friend - always in company when wearing this little ring! Available on Etsy and on Made It. 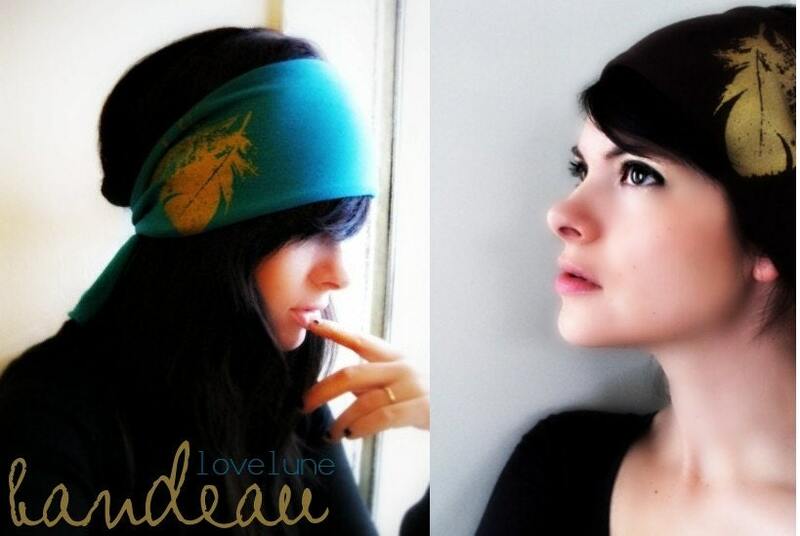 How gorgeous are these new Bandeau Feather Headbands by the gorgeous Jill from ILoveLune? I am eye-ing one off - not sure if my short hair will let me be as fashionable as Jill, but heck, I will wear it nonetheless! I thought that I was meant to be working my bread & butter job today, but to my surprise, the shift had been changed - it was a welcome surprise though! I decided to lay claim to this Monday as a homebody day - do the washing, clean up the factory, water the new vegetable garden and do some cooking. Perfect timing really, because our Hilbarn box was delivered this morning - now cop an eye full of the massive bunch of Silver Beet - HUGE! There was also a bunch of rhubarb in the box too - I have never ever cooked with rhubarb and have only really eaten it in dessert crumble form. I trolled around the internet for some interesting (yet simple) recipes; worked out an easy way to stew the rhubarb and then decided that the apples that were also in the box, should go to good use today - some muffins were in order! Silver Beet & Mushroom Pie with Basil. Stewed Rhubarb in Sugar & Vanilla. Apple, Rhubarb & Cinnamon Muffins. I know some people who always seem to have bad things happen to them, one thing after another - I feel for them and try my hardest to be the reason a smile creeps up onto their faces... it is hard work, but it is what friends are for. My obsession with tea is forever evolving. 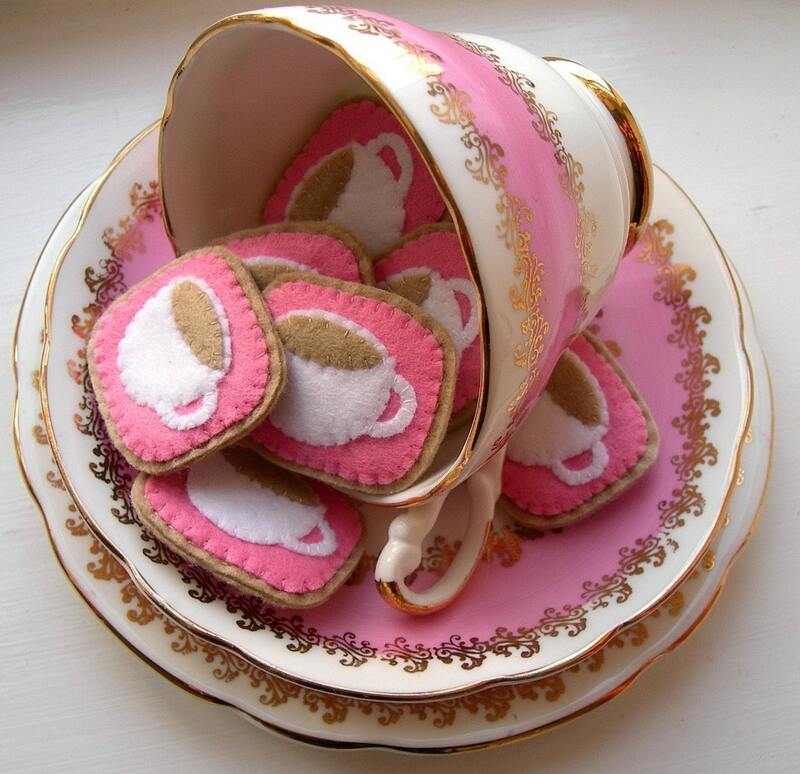 I am absolutely in love with these cute Little Pink Teacup Felt Brooches by lupin - how sweet! 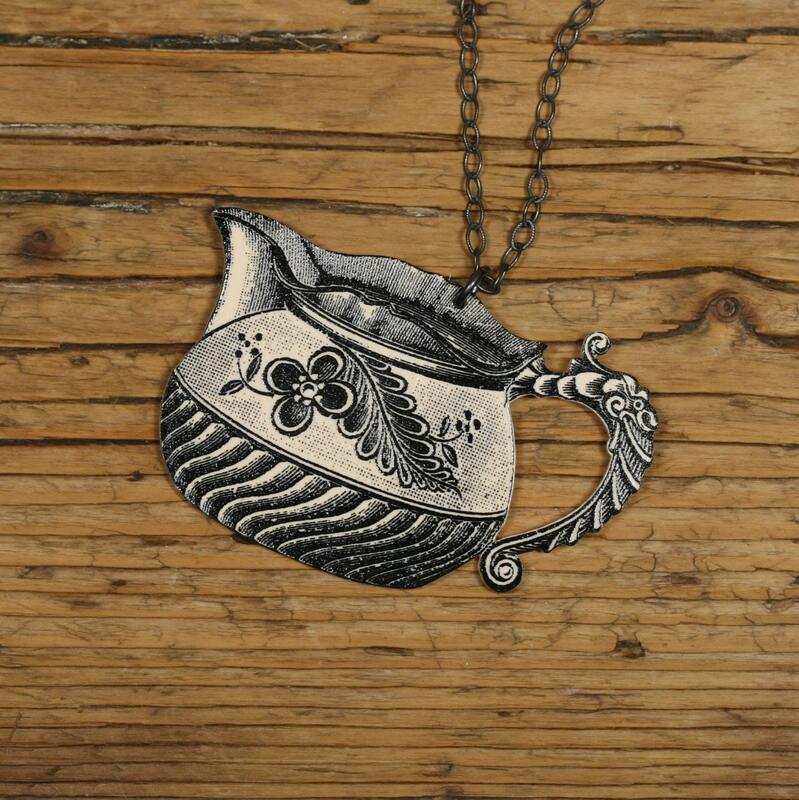 Perfect final addition to a tea party outfit - all I need now is some beautiful cupcakes with bright pink icing and rose petals scattered along the table - oh my! ...I'd buy a million gossip magazines for the staff-room. Instead, it comes out of my pocket. I generally just buy FAMOUS magazine for the lunch-break reads at my Bread & Butter job - it is a good mix of fashion, celebs and of course, gossip. More often than not, they feature some long-winded story on Lady Gaga and her trials and tribulations through life. Let the girl live for cryin' out loud! The obsession the tabloids have with demoting very successful, talented and out-of-the-square personalities, is truly disturbing. The local media gets on my nerves sometimes. Look at how much attention the Australian Media has given to the Bingle-Clarke-Fevovla scandal. We all know what sort of lives these people live - directo-in-the-spot-lighto! It'd be hard to even hang up your ol' tattered and stained underwear on the clothesline without the paparazzi taking super macro shots of your previous skid marks. I am in love with the new clip to "Telephone" by Lady Gaga feat. Beyonce. It's a bit out there - but meh, come on, it is Lady Gaga after all! Love the costumes, love the music, love the make up, the hair, the story line - the works! Sweet Girl & The Birds. Here is the gorgeous Annabel from Amsterdam looking after her Pair Of Birds pendant in a loving fashion - teamed up with such a cute outfit! Bless! I really do love stumbling across blog entries which feature people wearing their most recent purchases, goodies from me - if you have purchased from me, drop me a line and a photograph if possible - I would love to blog about all my lovely customers! 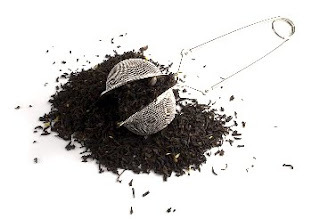 My latest obsession and craving is the beautiful T2 tea, Monk Pear. Yeah, yeah, I know what you're thinking: "gee, have you been living under a rock?" My visit at Cocoon on Wednesday, ended in the lovely gesture of a parting cup of T2 tea... Monk Pear with a dash of milk. I am truly addicted. That Vintage on Made It. The shop is chockablock - waiting for you to go and sneak a peak! This is my 200th blog entry... Wow! Yesterday I went into visit my lovely friend Suz at Cocoon - she is always such a breath of fresh air. I love catching up with her and obviously, spoiling my senses in her amazing little Cocoon! I took in some samples of the newest pieces from That Vintage - and she snapped them up there and then! 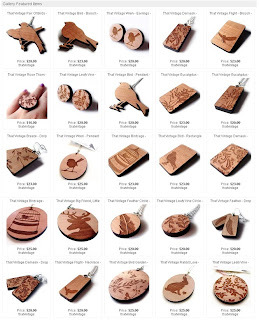 Cocoon now stocks the new rectangle wooden brooches, wooden drop earrings and the wooden necklaces - be quick to snap yours up! Spotted: Working hard at Sportsgirl, Launceston. The final piece of the Beautiful Three - Phoebe has been confirmed as the final model for the next That Vintage photo shoot! Thrilled to absolute beautiful pieces. 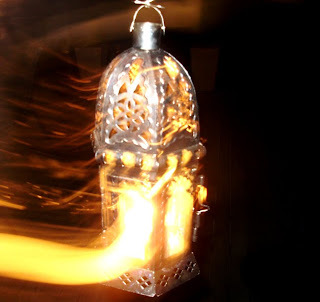 I picked up this beautiful lantern whilst on my adventures in town today. I thought it would be a perfect prop in the upcoming photo shoot... I am so excited! We have almost confirmed the third model - and I am so close to booking Rebecca's flights down for the shoot! An action packed day lies ahead. Dropping off orders, filling orders, posting orders, visiting Suz at Cocoon, getting a hair cut, buying clothes from work... and the list goes on! 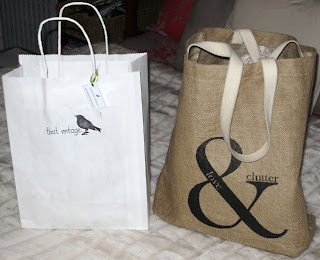 The white bag is for the beautiful Cadootje, in Newstead - filled with lots of new goodies for the shop. The hessian bag is my Mail Out bag - full of online orders ready to get on their way to my lovely customers! 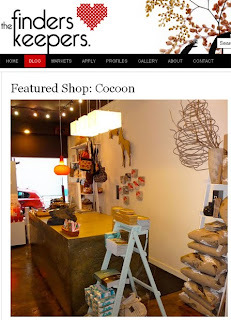 Congratulations to the beautiful Suz and the amazing team at Cocoon in George Street, Launceston - the shop has been featured on The Finders Keepers! I am totally proud to know Suz and the girls personally, even more so for That Vintage to be stocked within these incredible four walls - a grin came across my face when reading the feature! An amazing interview with an amazing selection of photographs - as amazing as they are, they truly don't do the shop justice - so if you are ever in this neck of the woods, be sure to wander up George Street and say hello to Suz - I can guarantee you that she'll welcome you with open arms! I am totally bursting with excitement! 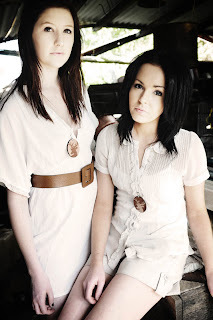 I have been chatting with my photographer friend Ebony Bejah from Caught A Glimpse photography, about the next photoshoot for That Vintage - then it popped into my mind - I don't just want my friend Rebecca to come down from Melbourne for the shoot, but I NEED her to! So I am thrilled to announce that Rebecca will finally grace her beautiful face with my label That Vintage and two other models! 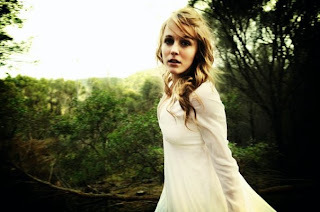 Elizabeth is the second confirmed model - her look is beautiful, natural and rather romantic. I can't wait to confirm the third model, as she'll make this composition truly complete! Fingers crossed! A sweet, romantic love story on a bed of moss... hmm... yummy..! 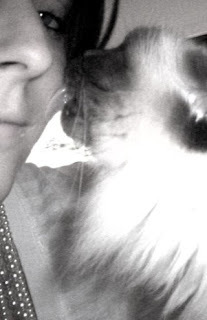 This is Miss James and her beautiful ragdoll kitty... she is the beauty behind the beautiful blog Bleubird. 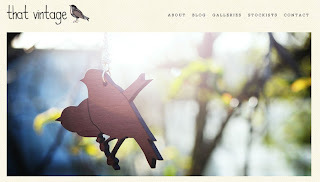 Her blog is one of my favourite reads, a delightful feast for the eyes in words and photographs. The way that Miss James articulates herself, her findings and her life, is so wonderfully intriguing. Miss James has a baby bird incubating within her inner nest and she is documenting her pregnancy in the most heartfelt way - Little Love Letters to Baby Bird. Beautiful. Can someone hear chicken noises? Hah! 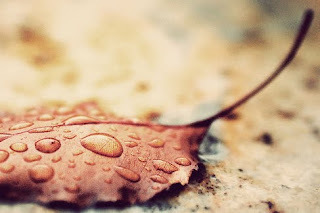 If you browse her blog, you may come across an entry with some familiar images - yes! 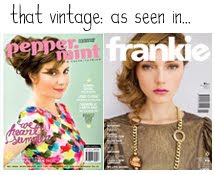 Miss James featured a little bit of That Vintage in her entry Sweet Somethings. This was such a delight to come across - tickled me beyond pink - so much so that we are lining up a special surprise in the next few weeks on Bleubird... so go on - follow her blog and stay tuned! Miss James is also the beauty behind this beautiful website Bleubird Vintage - a host to many amazing, incredibly divine vintage pieces - with my favourite section being the shoes & boots (of course!) - the website is incredible, and I strongly suggest you head there... and open up your bank account for some severe bashing! The Dog Days Are(n't) Over.